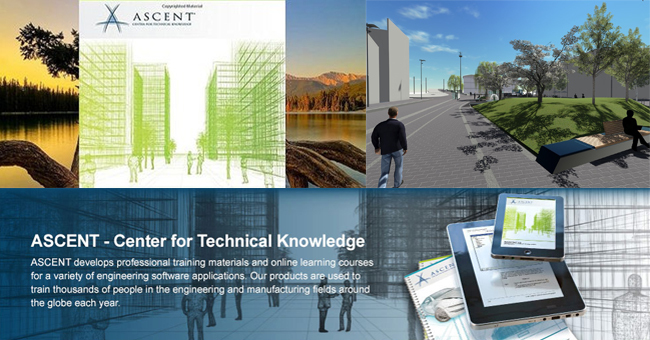 The courseware division of Rand Worldwide ASCENT- Center for Technical Knowledge, an Autodesk authorized publisher, has just unveiled their first training guide alias Autodesk Revit 2017 Fundamentals for Landscape Architecture. The book is accessible in print and eBook format. One can avail the print format from ASCENT’s eStore and Amazon.com and in eBook format via ASCENT’s eStore. The book consists of custom approaches supported with various instances on actual projects as well as practical exercises specifically designed for landscape architects and the CAD and BIM managers who support them, to optimize the application of Autodesk Revit for their landscape designs. Now-a-days, the building information models are extensively utilized in digital construction. So, the landscape architects have to provide 3D Revit files which are incorporated with bigger building project models consistently. Transition from 2D AutoCAD to 3D Revit software, encompasses a high learning curve and this book will help you to achieve it. The Autodesk Revit 2017 Fundamentals for Landscape Architecture training guide has been divided into three parts to facilitate the formation and documentation of 3D project models for an urban environment. 1. Introduction to Revit – Sheds light on the learning curve that landscape architects encounter shifting from 2D AutoCAD to 3D Revit and briefly narrates the Revit user interface and fundamental drawing, editing and viewing tools. 2. Application of Revit for landscape design – Various exercises and illustrations to provide training on how to generate a basic building that contains walls, doors, windows and roofs. From there learn how to model hardscapes and apply different Revit’s tools for inserting components like trees, site furniture and planting areas. 3. Construction Documents – Allow the learners to walk through the process of delivering their models to the construction documentation stage so that the construction teams can convert their idea into reality. Autodesk Revit 2017 Fundamentals for Landscape Architecture is useful for group or individual usage, and instructors will be able to buy Instructor Tools, which consist of PowerPoint slides with detailed teaching notes, time guidelines for each topic, and solutions to the enquiries. 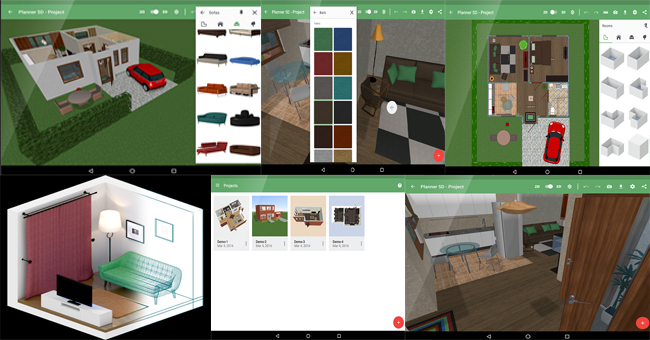 Planner 5D is a user-friendly app that facilitates the users to produce good-looking and convincing interior and exterior designs in 2D and 3D approaches. There is an extensive catalog to select various interior and exterior items to arrange plan and fit your home or any other space as per your requirements, and with the virtual reality mode It is possible to view what everything appears in realism.